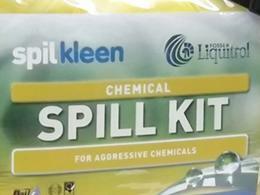 What is the purpose of the 50 litre chemical spill kit? 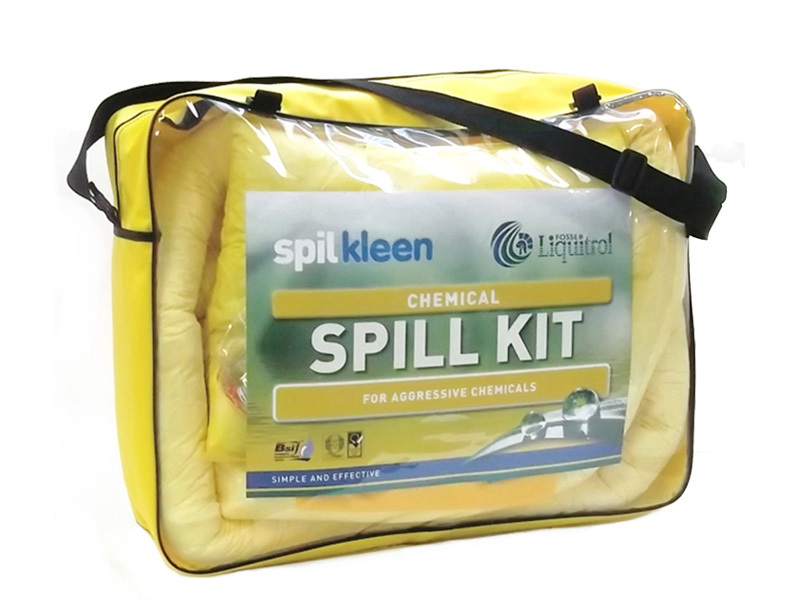 This 50 litre chemical spill kit from The Workplace Depot comes with easy to follow instructions and comes in a vinyl bag with carry strap. 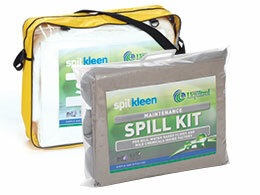 The kit has been designed for spills up to 50 litres and products are packed in deployment order. This kit has been developed to absorb and retain industrial liquids, including oil and aggressive chemicals. The kit is easy to transport around workshops and in vehicles and includes ties and disposal bags for efficient disposal of the used product. Where can this 50 litre chemical spill kit be used? Hang the 50 litre chemical spill kit on the wall with fire extinguishers for a complete emergency station in your workplace. Keep one in a truck or car as an initial chemical spill response or place in high risk areas such as storage and trucks. Even drum storage units can benefit from a 50 litre chemical spill kit nearby. Who might use a 50 litre chemical spill kit? This kit is essential for any environmental management system where the chance of chemical spills is likely. Order your 50 litre chemical spill kit from The Workplace Depot and get free delivery within 5 – 7 working days. 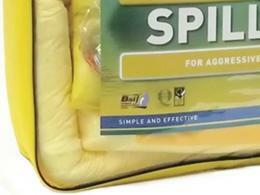 This kit is designed to absorb alkalis and acids and is packed in a strong carrier bag complete with carrying straps. The kit is designed comprises 25 pads and 2 x 3m absorbent socks and there is 1 disposal bag and tie. All our products come with a one-year parts and labour warranty and a Price Promise to match any price. We accept most major credit cards as well as PayPal. Place your order soon or talk to our sales department if you have any questions.